Toyota will pump about $500 million into ride-share firm Uber as part of a deal to work together on mass-producing self-driving vehicles, the Japanese car giant said on Tuesday. The deal, which reportedly values Uber at about $72 billion, aims at "advancing and bringing to market autonomous ride-sharing as a mobility service at scale", Toyota said in a statement. Analysts said the move showed Toyota was motoring full speed ahead towards a driverless car future, in a race involving the world's top auto firms as well as tech giants such as Google and Alibaba. Technology from both companies will be integrated into purpose-built Toyota vehicles and deployed on Uber's ride-sharing platform, with the first pilot rollout set for 2021. "Hundreds of vehicles" would be involved in that first phase, a spokesman told AFP. "The deal is the first of its kind for Uber and signals our commitment to bringing world-class technologies to the Uber network," said CEO Dara Khosrowshahi. The agreement came after the smartphone-summoned ride service began to rein in its solo effort to develop autonomous vehicle technology. Uber suspended its self-driving car programme after a crash in March, which killed a woman pushing a bicycle in a street in the US state of Arizona. Last month, the San-Francisco-based firm took a tentative step towards restarting the programme, putting self-driving cars back on the road in "manual mode", with a driver at the wheel at all times. The testing will enable Uber to gather data on different scenarios that will be recreated in computer simulations, and also develop more accurate mapping for the vehicles. Uber is among a number of technology and car companies racing toward what some say is an inevitable future in which vehicles drive themselves. 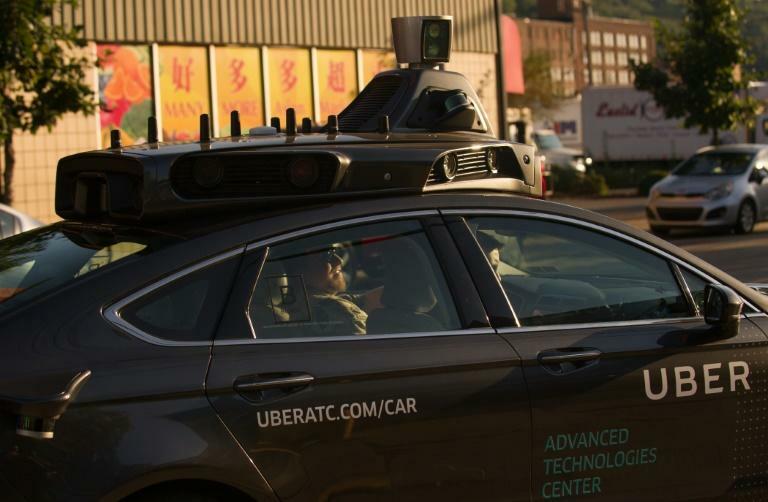 The statement said the "mass-produced autonomous vehicles" would be owned and operated by "mutually agreed-upon third-party autonomous fleet operators". Hans Greimel, Asia editor for the specialist Automotive News publication, said Toyota was "gearing up big-time for autonomous driving". "They are feeling the pressure and they are really turning their attention towards this field," he added. "It is a wide-open field and everybody is scrambling to feel their way. Maybe Toyota feels a sense of crisis, maybe they had a rough start but I don't feel they are behind." Traders appeared to welcome the news, pushing Toyota stock up 1.86 percent to 7.096 yen, outperforming the wider market which was 0.64 percent higher. "I think what they are after with Toyota is the money more than anything," he said. However, he added that it was possible that the more conservative Toyota could end up slowing down the Silicon Valley firm. "Toyota is known for its safety and is more conservative but it could be a downside for a Silicon Valley company used to being very quick and nimble and making fast decisions. "Toyota needs to double-check, triple-check everything and this might slow them down a little bit," he said. Khosrowshahi is also looking at shifting cars to scooters and electric bikes for shorter, inner-city trips, he said in an interview published this week. While he admitted the move would likely cost the firm financially in the near term, he told the Financial Times it made sense as a long-term strategy as "during rush hour, it is very inefficient for a one-tonne hulk of metal to take one person 10 blocks".